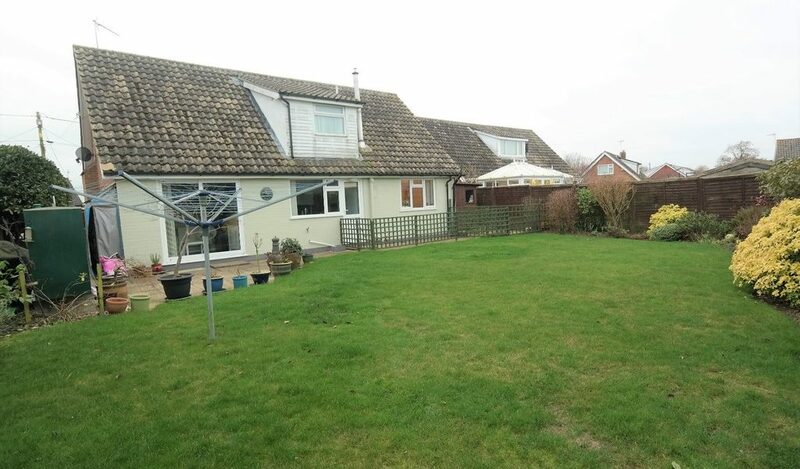 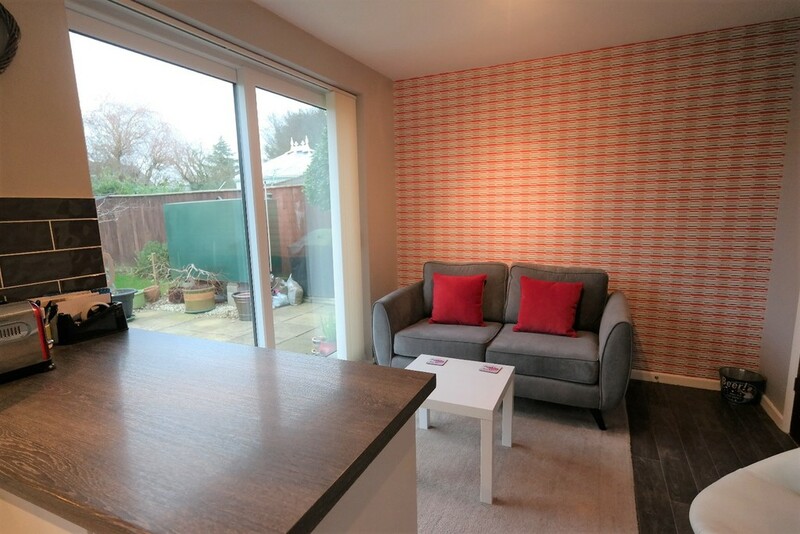 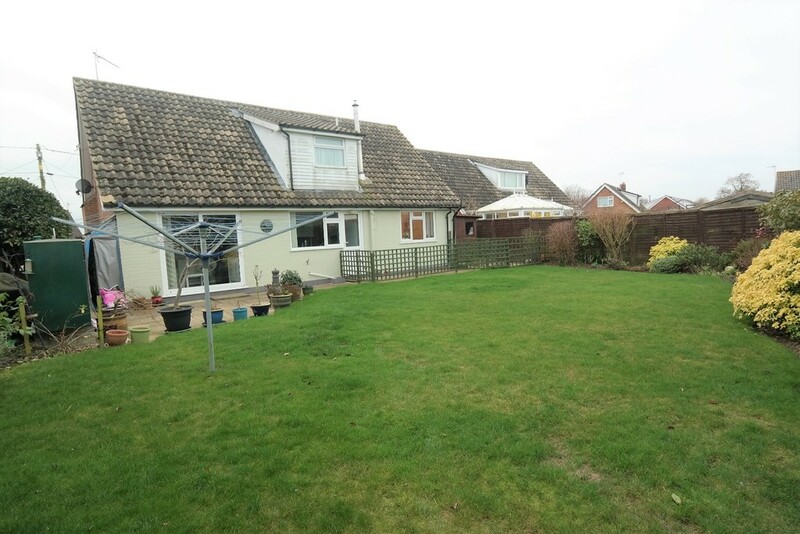 Situated in the rural village of Willisham in a quiet no through road and lying approximately 4 miles from the thriving town of Needham Market which has mainline rail links to London/Liverpool Street this tastefully presented 4 bedroom family home boasts spacious contemporary style accommodation. 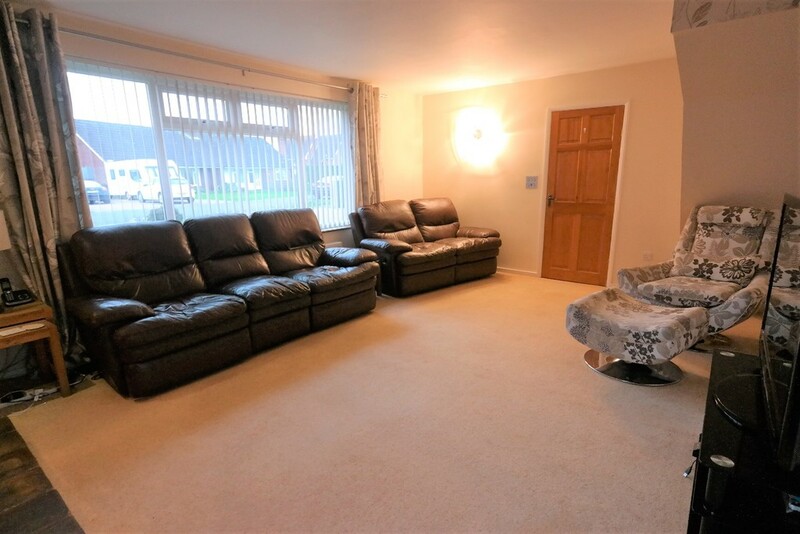 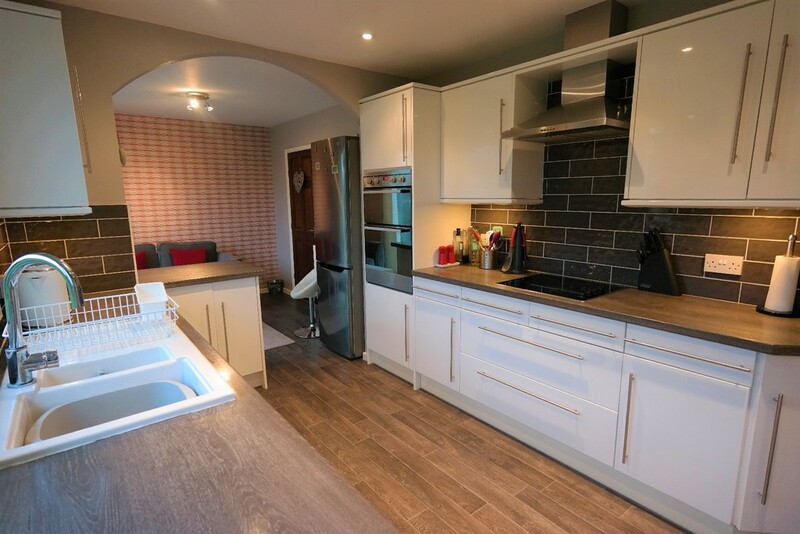 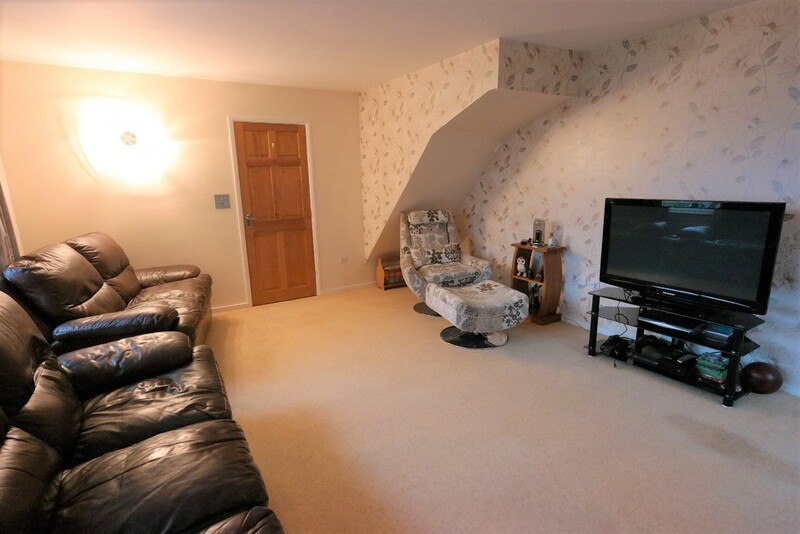 The property comprises of a generous Lounge with a lovely multi fuel burner, impressive Kitchen/Dining Room, Bedroom 4 (which could be used as a further reception room if required) and a downstairs Bathroom, with a further 3 Bedrooms to the first floor and a Shower Room. 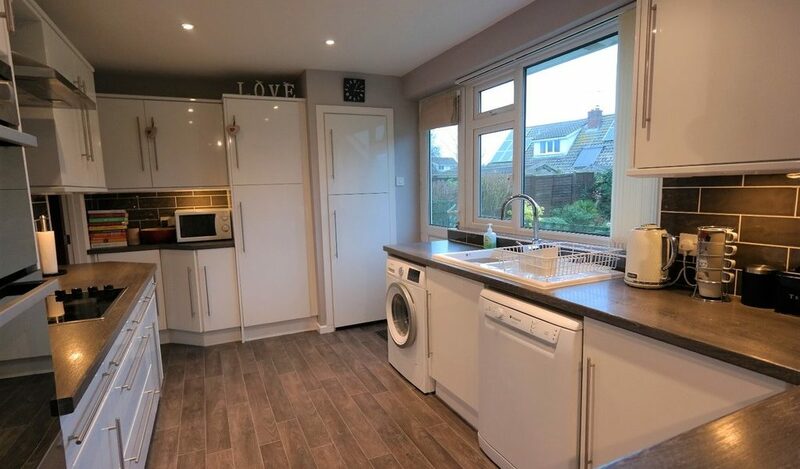 There is oil fired radiator central heating, UPVC windows and doors, a good sized garden, parking for 3 plus cars and a detached garage. 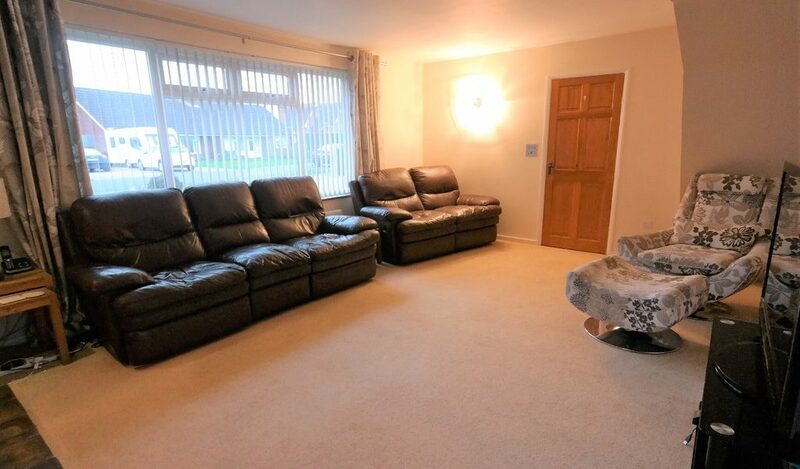 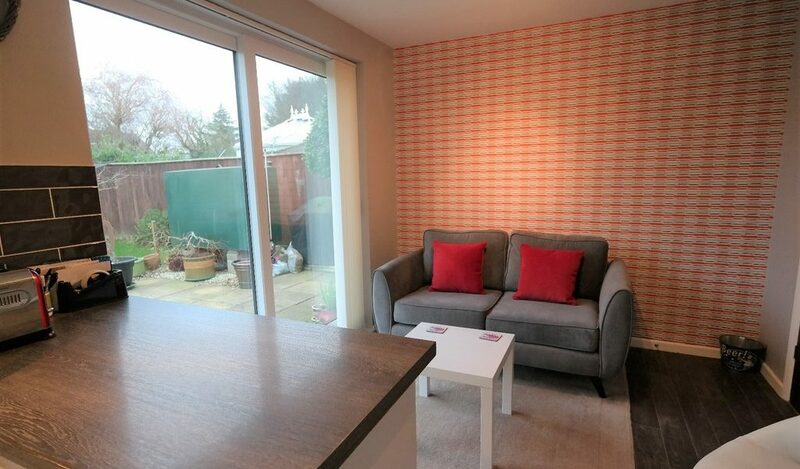 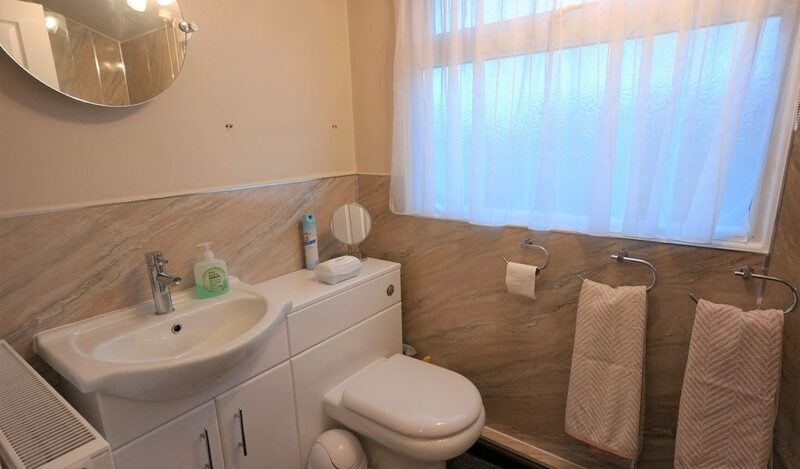 The agents would recommend an internal inspection to fully appreciate the quality of accommodation on offer. 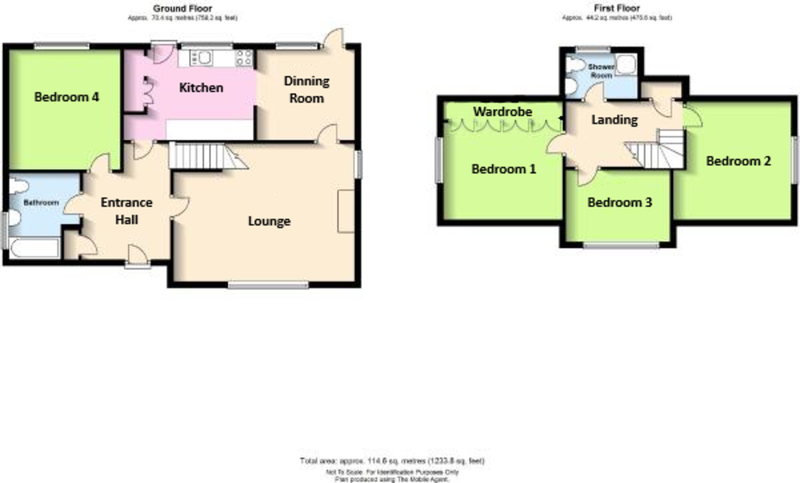 ENTRANCE HALL 8′ 11″ x 12′ 4″ (2.72m x 3.76m) With UPVC front door with 2 glazed panels, radiator, stairs to first floor, storage cupboard, tiled floor, doors to all rooms. 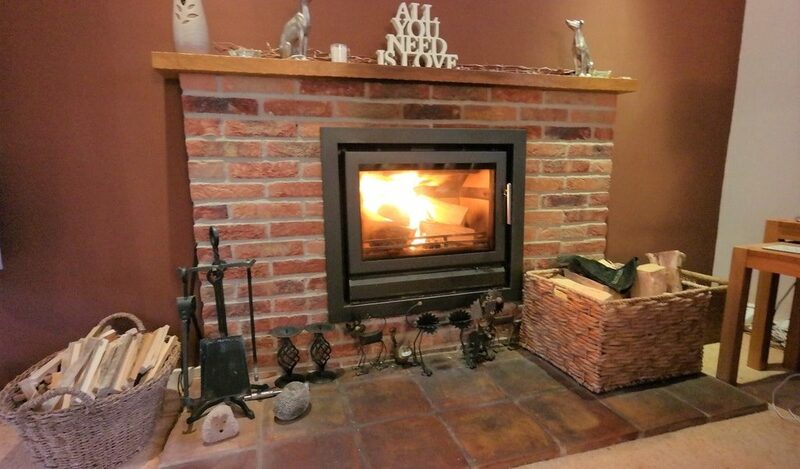 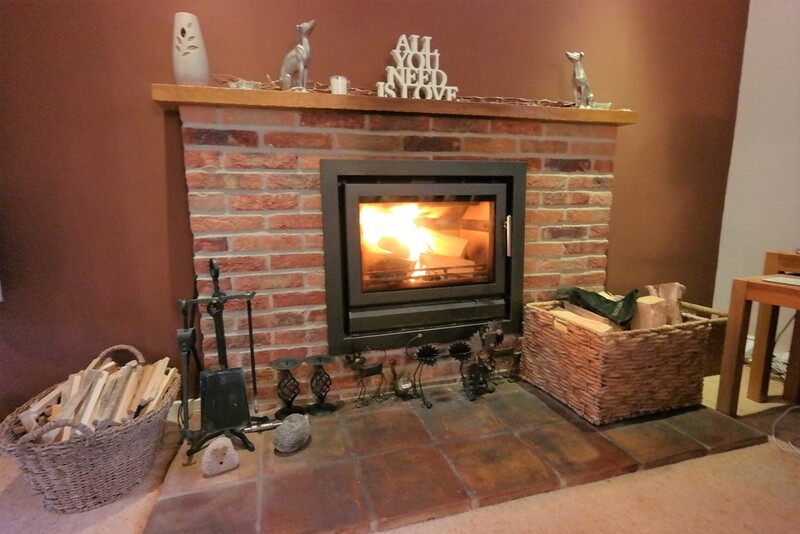 LOUNGE 18′ 5″ x 13′ 11″ (5.61m x 4.24m) With large picture window to front aspect with further window to side aspect, feature brick fireplace with multi fuel burner inset and tiled hearth, radiator, TV point, wall light. 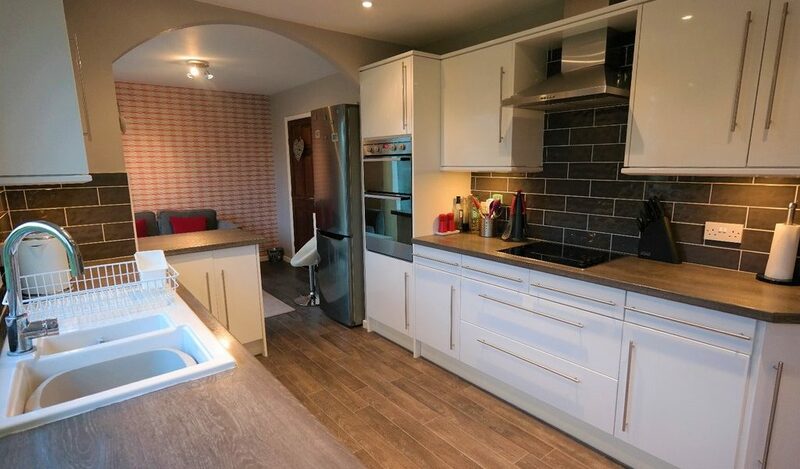 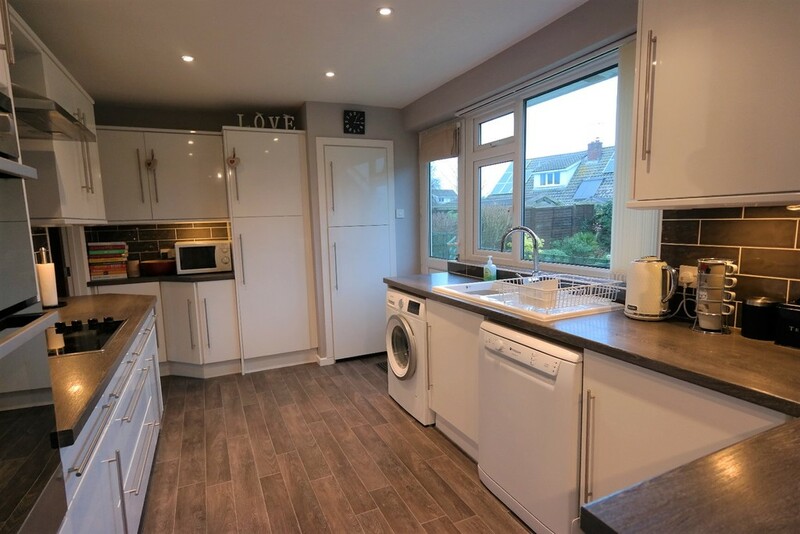 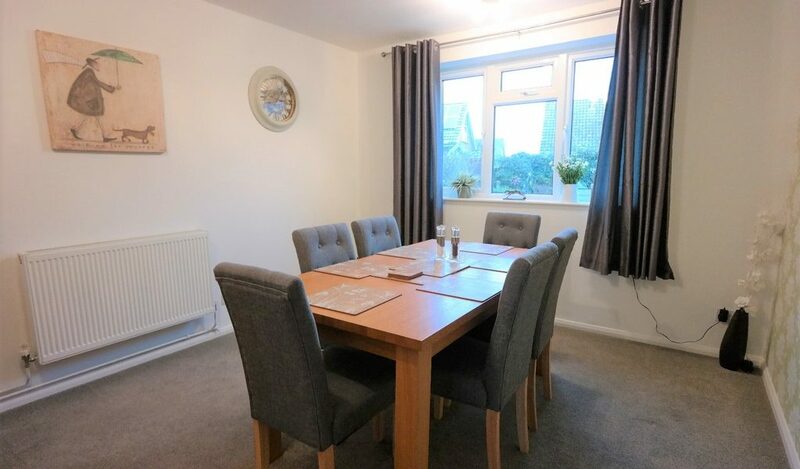 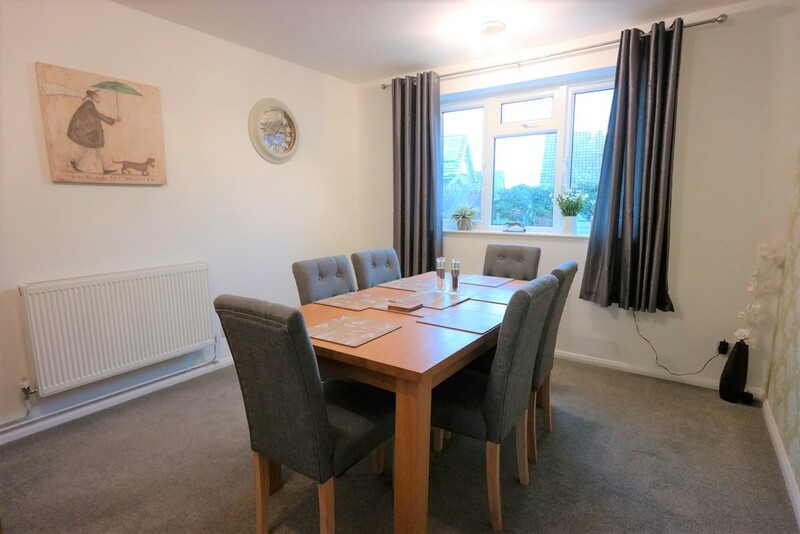 KITCHEN/DINING ROOM 23′ 10″ x 9′ 6″ (7.26m x 2.9m) An impressive light and airy room with window to rear aspect and UPVC patio doors to garden, comprehensive range of high and low level white high gloss units incorporating built in oven, hob and extractor fan, sink with mixer tap, tiled splashback, plumbing for dishwasher and washing machine, space for fridge/freezer, cupboard housing oil boiler, spotlights, tiled floor. 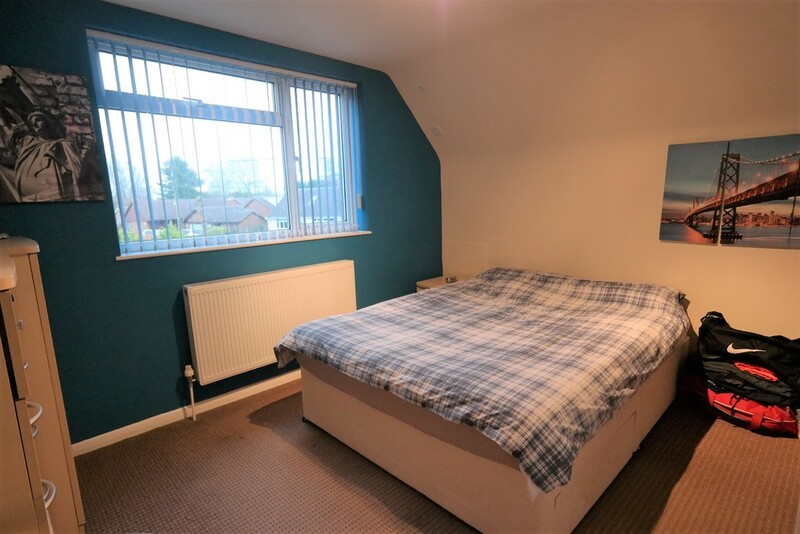 BEDROOM 4/DINING ROOM 10′ 10″ x 12′ 2″ (3.3m x 3.71m) With window to rear aspect, radiator, TV point. 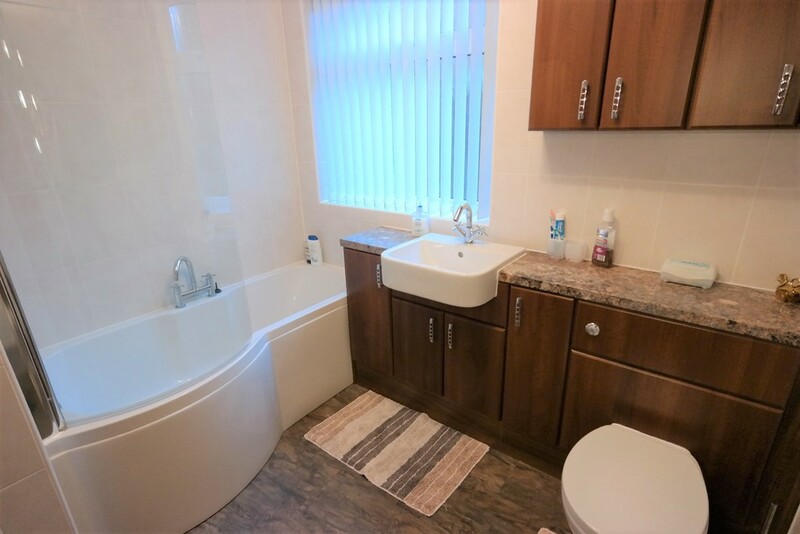 DOWNSTAIRS BATHROOM With window to side aspect, modern suite consisting of P-shape bath with shower over, range of contemporary vanity style high and low level units with handbasin inset and concealed cistern WC, generous wall tiling, extractor fan, radiator, laminate flooring. 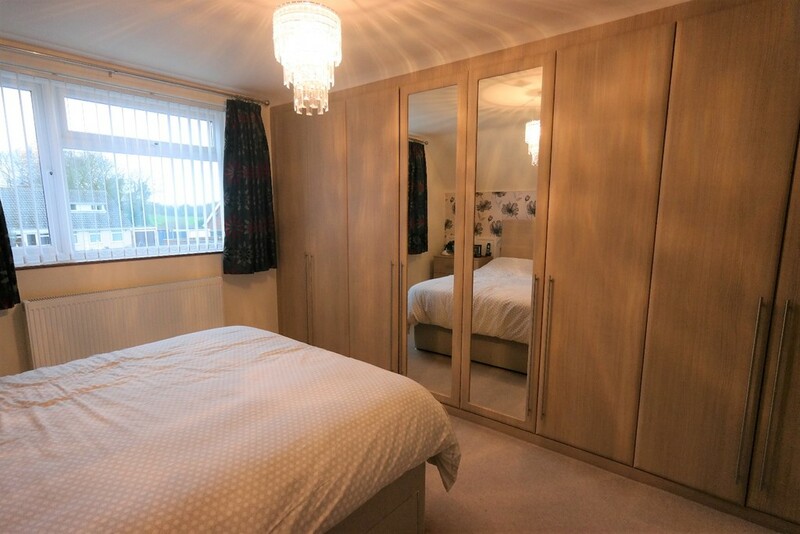 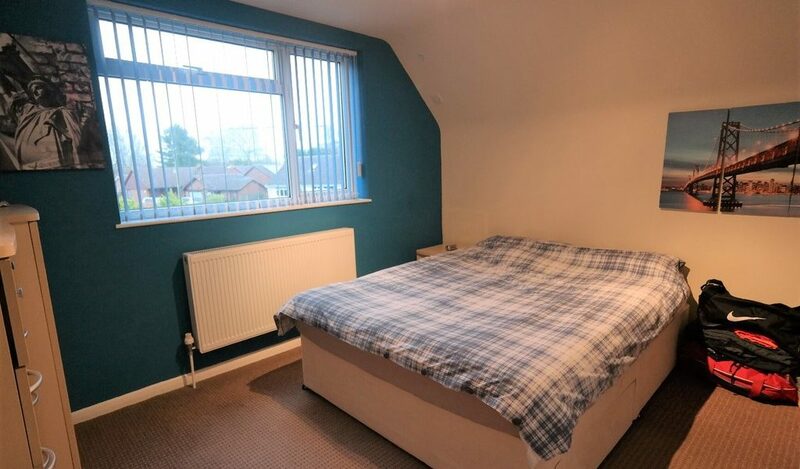 BEDROOM 1 13′ x 9′ 10″ (3.96m x 3m) With window to rear aspect, radiator, built in dressing area, eaves storage, a good range of built in wardrobes, TV point. 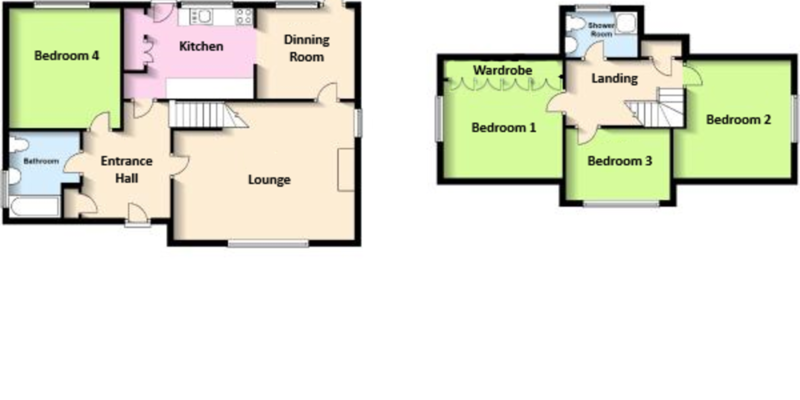 BEDROOM 2 12′ x 11′ 10″ (3.66m x 3.61m) With window to side aspect, radiator, eaves storage, TV point. BEDROOM 3 9′ 4″ x 7′ 2″ (2.84m x 2.18m) With window to front aspect, radiator, laminate flooring. 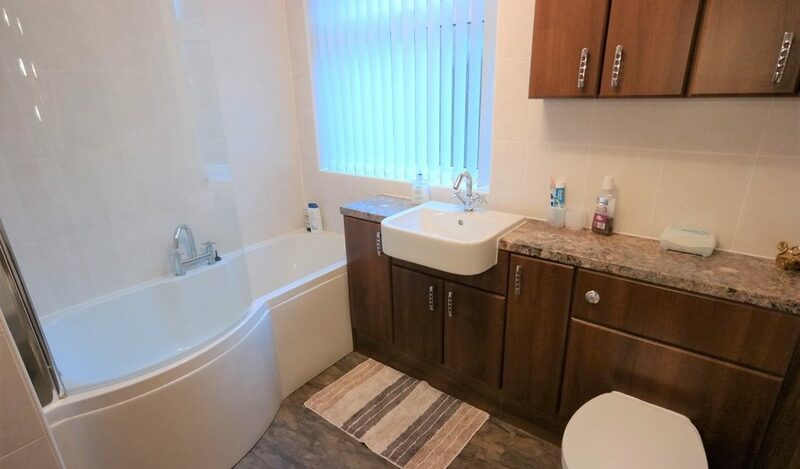 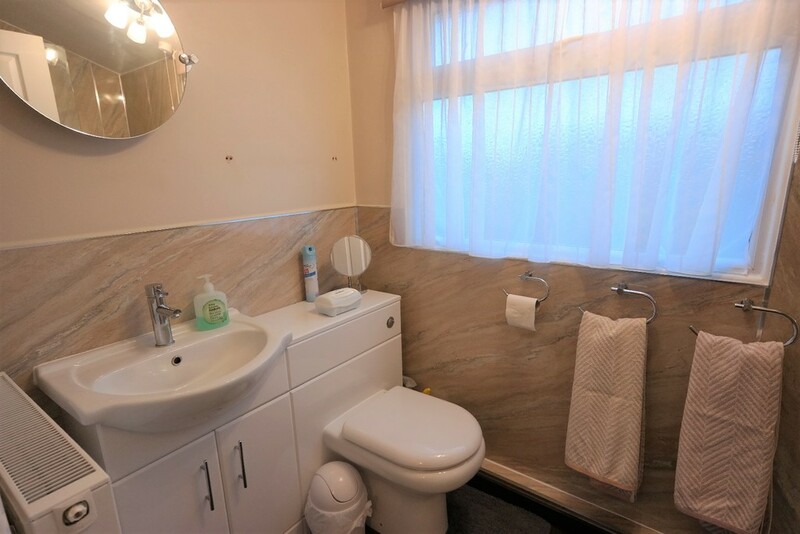 SHOWER ROOM With window to rear aspect, shower in cubicle, built in vanity unit with concealed cistern low level WC, extractor fan, radiator, laminate flooring. 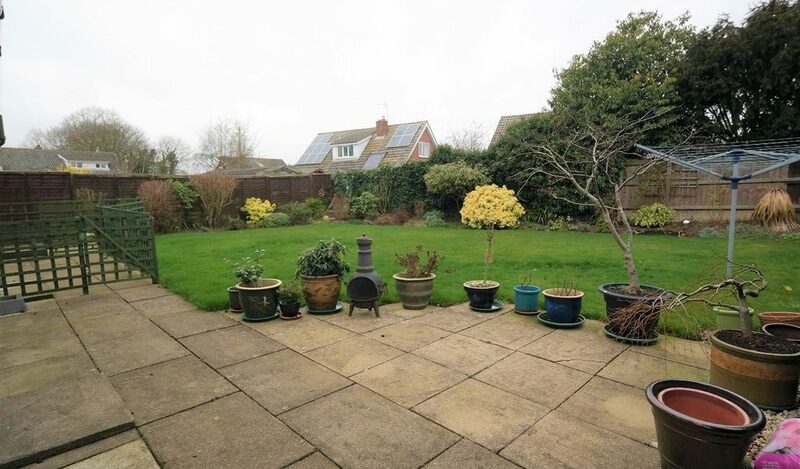 OUTSIDE There is a lawn and flower border to the front of the property with a good size side driveway providing off road parking for 3 plus cars and leading to the single detached garage with power and light connected. 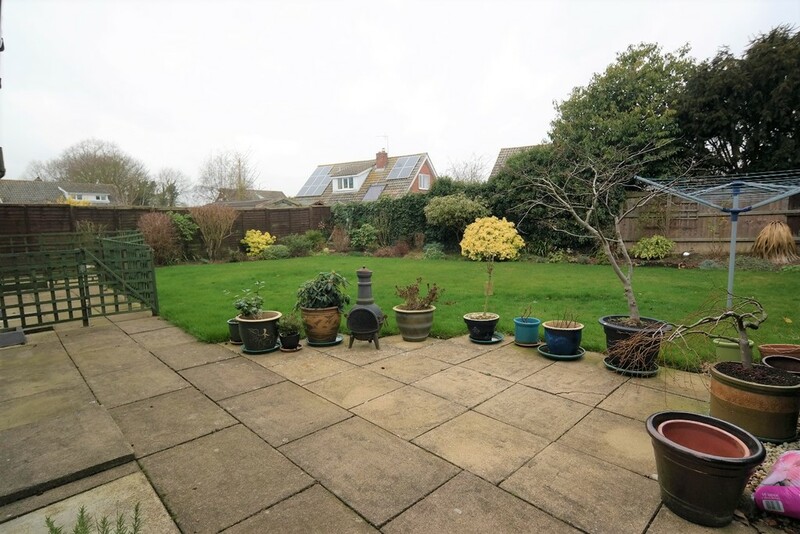 A pathway leads to the fully enclosed rear garden which is a good size with a generous patio, lawn with side flower and shrub borders, garden shed, log store, oil tank. 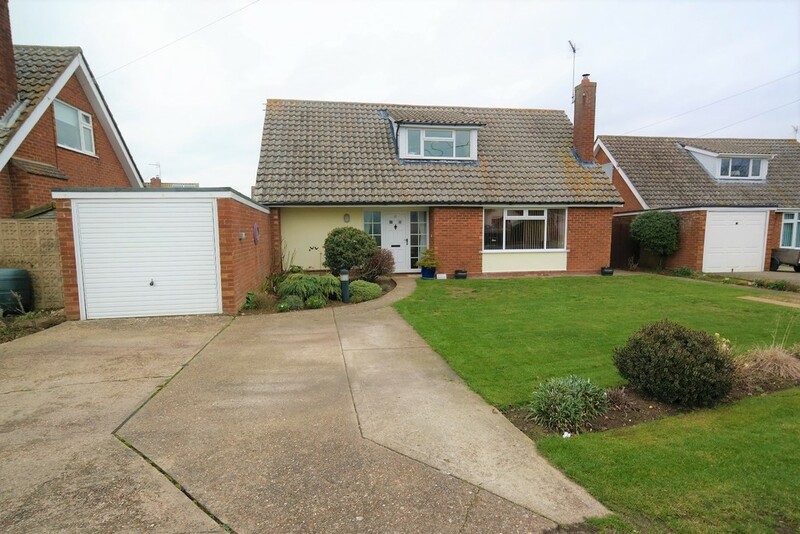 Parkyns are pleased to offer a development opportunity in the quiet village of Creeting St Mary. 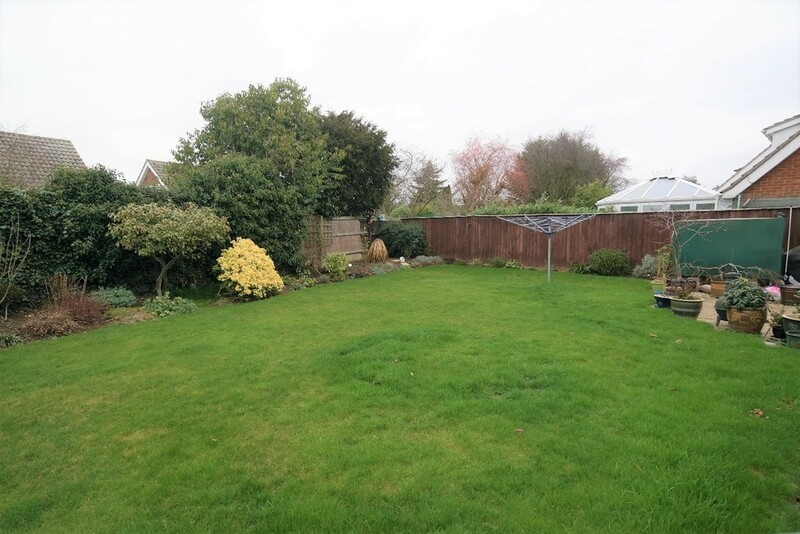 The plot has outline Planning Permission for a detached dwelling situated in a "No Through Road" and having views over fields to the front. 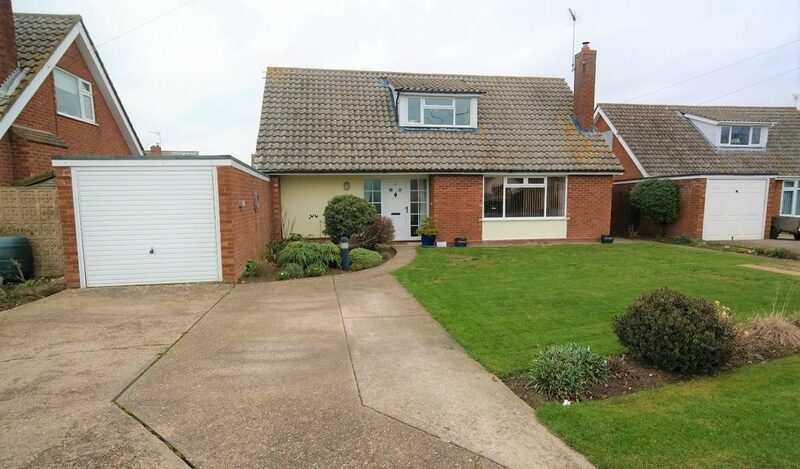 Further information can planning can be found on the Mid Suffolk District Council website using Ref: DC/18/01442. 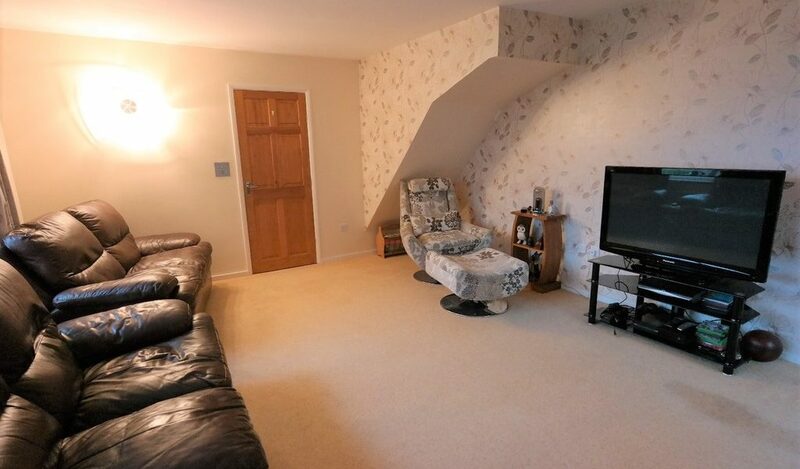 Viewing by appointment only through Parkyns.